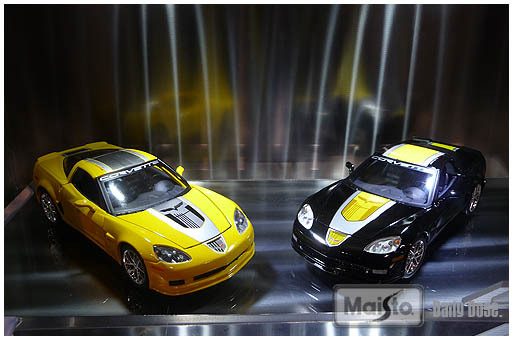 This Tuesday we’ve got another one from the 1/24th scale Special Edition line-up, the 2009 Corvette Z06 GT1 Commemorative Edition to be exact! 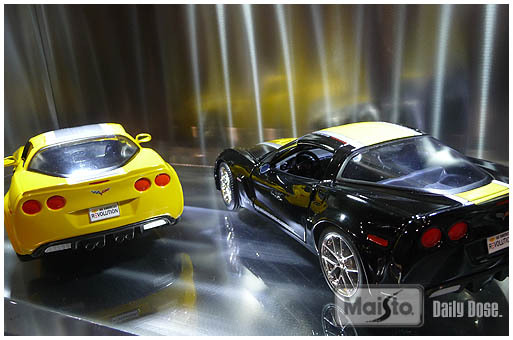 This model’s real life counterpart was thrown into a limited production run in honor of the over 70 victories and 8 championships for the Corvette GT1 Racing Program in the American Le Mans Series! 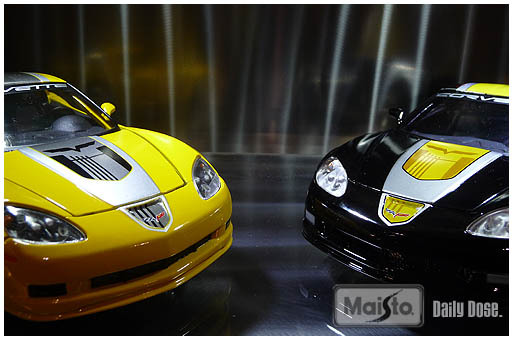 Our die-cast replica of this limited edition machine can be found in two separate color options, Yellow or Black, and features a set of opening doors to allow a better peek at all of its inner details, as well as an opening engine compartment! 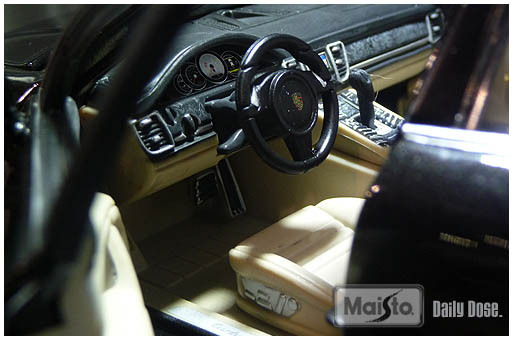 If you’d like to get your hands on this Z06, or any of the other vehicles that are a part of our Special Edition line, keep your eyes open for our standard Maisto packaging color-coded Blue and labeled SPECIAL EDITION! 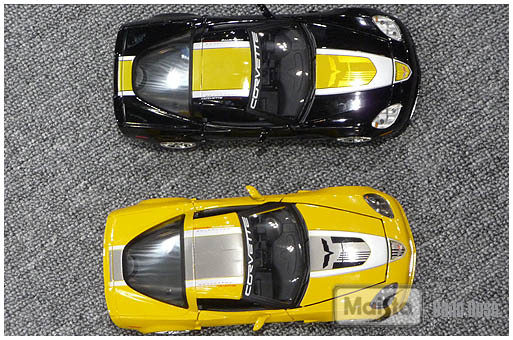 that’s the hood of the 1:24 2009 corvette gt1 commemorative edition. want some more? 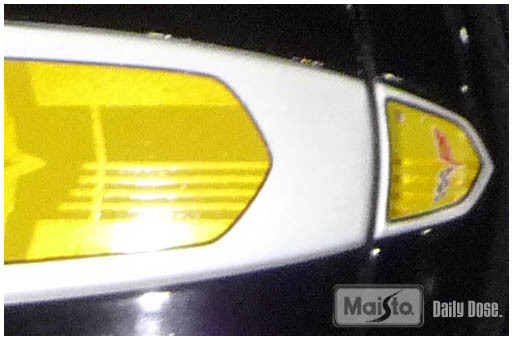 and let’s see what tomorrow brings us – maybe some new motorcycles?